Even so, there are currently an estimated 500,000 open construction positions in the United States. And with a significant part of the construction workforce nearing retirement, Associated Builders and Contractors of Greater Houston is committed to recruiting and fostering the next generation of workers to close the skills gap. Through ABC Greater Houston’s educational affiliate, Construction and Maintenance Education Foundation, industry and craft professionals in the Houston area receive formal training. ABC/CMEF’s goal is to recruit new entrants and retain existing workers through a variety of programs focused on assessment, training, and continuing education. 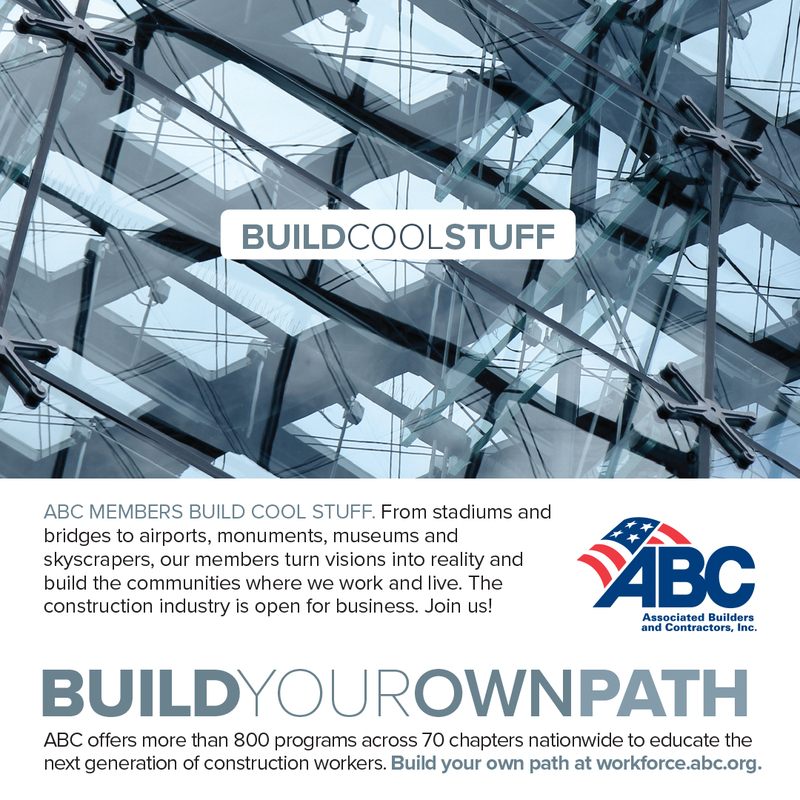 To learn more about construction career opportunities, visit www.ABCHouston.org. Harrell, Lauren. Reprinted from BuildHoustonOnline.com, September 27, 2018, a publication of Associated Builders and Contractors of Greater Houston. Copyright 2018. All rights reserved.